Everyone knows that feeling when you step out of the shower and you immediately get cold. Well, everyone except for those lucky ones with heated floors. 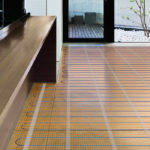 Radiant floor heating, or underfloor heating as it’s also called, are the technical terms for floors that have a heating system installed beneath the surface. Especially in colder months or colder areas, this addition to your home can add not only warmth, but a lot of extra comfort. 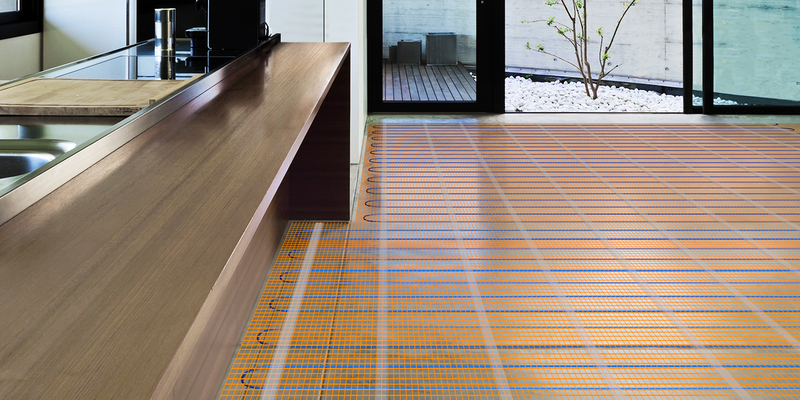 These systems work by transferring heat through the floors using tubes of hot water (hydronic floor heating) or electrical cables. Once installed according to a precise pattern that ensures even heat distribution, the temperature is usually then controlled by a thermostat. Most homeowners opt to heat a single room, or even two, rather than their whole house, typically choosing the bathroom, mudroom, or basement. 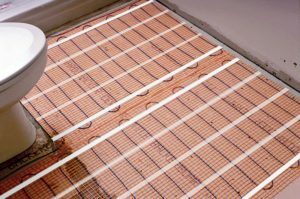 These are especially good choices because they usually contain tile or concrete, the best conductors of heat via this method, aside from being easy to clean and withstanding the high temperatures the best. Additionally, even after you turn the heat off, floors with a tile or concrete base will retain the heat and continue to heat the room longer, using less energy. While heated floors are completely a personal preference, a little can go a long way here. With a relatively small upfront cost, the added comfort you will receive is usually worth the investment. If you are usually a cold person, then the joy of having a warmed floor when you step out of the shower can bring a lot of extra happiness to your day.